Team leader, Ed Fennell started the restoration process with a simple question asked of the Johnson City Police Chief, Ron Street namely �What ever happened to the airplane that used to be at the Kiwanis Park?� �Oh it's behind the National Guard Armory�, the chief answered. Around Christmas 1997, Ed saw Colonel Harry Gibson of the Tennessee Army National Guard and talk got around to the T-33. Gibson explained that the Air Force had sent orders to destroy the aircraft. Ed then asked his fellow members of the Johnson City Radio Controllers if they were interested in restoring the T-33 and if they would commit to what was obviously going to be a long-range task. After they showed interest, Ed then discussed the intended project with Johnson City Manager John Campbell, as the city was the official caretaker of the aircraft. Campbell said, �If you guys are willing to clean it up I am willing to support it.� A formal request was placed to the Air Force who gave the group two years to restore the T-33. A few of the group took a trip to the Wright-Patterson Air Force Base and Museum in Dayton, Ohio to take photographs of similar T-33 aircraft. Knowing the tail number of the T-33, Ed was able to contact Maxwell Air Force Base in Alabama to get the history of the aircraft. Ed and his wife, Nancy took a vacation trip to Davis-Monthan Air Force Base which is the junkyard of military aircraft. They returned with an undamaged T-33 canopy and wing tanks. It took a lot of water and 4000 pounds of sand to strip away the coats of thick camouflage paint that the National Guard had added. The T-33 was stripped to its aluminum surface. Rod Snyder, the owner of Snyder Signs and one of the key members of the project, was able to match closely the original paint. A chemical was added to the epoxy-based paint that made it adhere to the aluminum. By paying close attention to detail, the T-33 was restored with its original color and details. 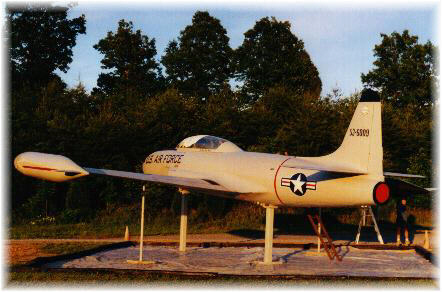 The T-33 is now on display at Bowser Ridge Model Airplane Field. It definitely catches your eye as you approach the field. �I'm proud of it� says Ed Fennell. �It looks the way the airplane should look. It's a great landmark for our model airport, and now it's protected and insured since its part of Johnson City property. 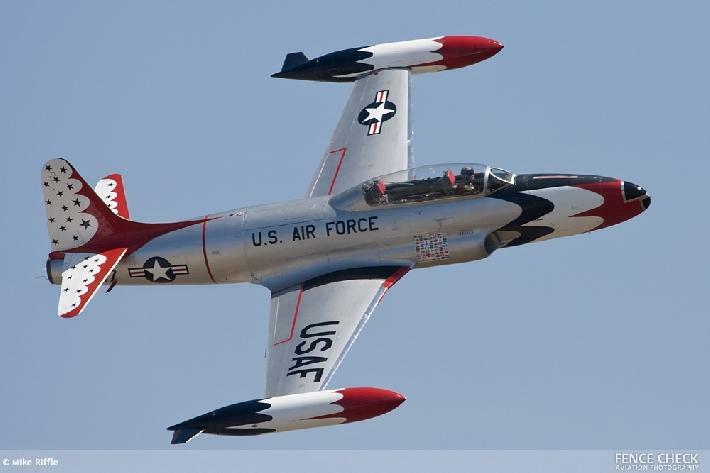 1948 � Lockheed designs the T-33 trainer airplane to help pilots learn to fly the T-80 �Shooting Star� combat aircraft. 1953 � This particular aircraft (52-6009) is built. 1955 � Commissioned to the Air Force, the plane is stationed in the Training Wing at Wright-Patterson Air Force Base. 1955-1964 � The aircraft flew missions in Arkansas, Texas, and Oklahoma. 1965 � The City of Johnson City requested a flyable airplane from the Air Force through the efforts of a group headed by businessman, Mitchell Thorp. 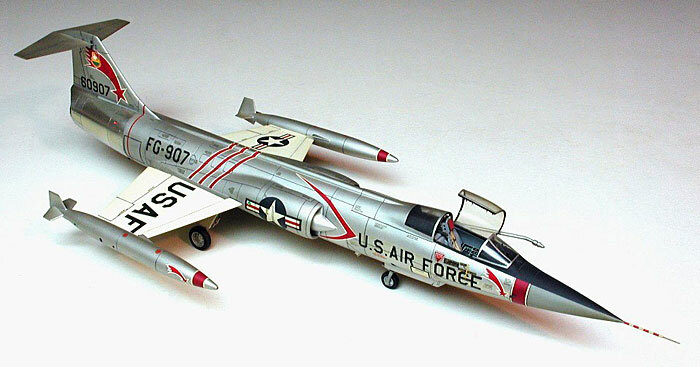 1966- The Mayor of Johnson City requested an aircraft from the US Air Force to be displayed. In April, a T-33 was delivered to the Tri-Cities Airport and presented to the City of Johnson City. Bobby Jobe led a group to disassemble the aircraft. Thereafter the aircraft was mounted in Kiwanis Park and dedicated. The airplane's logbook accompanied the T-33 but was later destroyed in a fire at the Parks and Recreation Building. 1986 � Due to vandalism the aircraft is moved to the Boys Club location on West Market Street. It was moved to different places on the property and gradually deteriorated. 1995 � The T-33 is finally removed from public display and moved across the street behind the National Guard Armory adjacent to the motor pool area. 1997 � A group of five JCRC club members begin the restoration project as detailed above. 1998 � Mounting posts for the plane at Bowser Ridge were finished in February. The aircraft is mounted in May. In August Ed Fennell goes to Tucson and picks up a new canopy and wing tanks. 1999 � The airplane is sandblasted down to bare metal and re-riveting of the airframe begins. 2000 � The metal work and painting is completed. Re-stenciling begins in April and landscaping is completed on June 2nd. The T-33 is re-dedicated at the Bowser Ridge Model Airport on June 3rd. The seven Project Mercury astronauts with a model of an Atlas rocket, July 12, 1962. Grissom is at the far left. 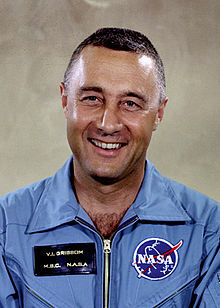 Virgil Ivan Grissom (April 3, 1926 � January 27, 1967), (Lt Col, USAF), better known as Gus Grissom, was one of the original NASA Project Mercury astronauts and a United States Air Force pilot. He was the second American to fly in space and the first NASA astronaut to fly in space twice. Grissom was killed along with fellow astronauts Ed White and Roger Chaffee during a launch rehearsal test for the Apollo 1 mission at Cape Canaveral Air Force Station (then known as Cape Kennedy), Florida. The Apollo command module caught fire, and the astronauts were unable to escape. He was the first of the Mercury Seven astronauts to die. Pilot in the Korea conflict. Instructor Pilot, Bryant AFB, Texas. Test Pilot, Edwards Air Force Base, California. 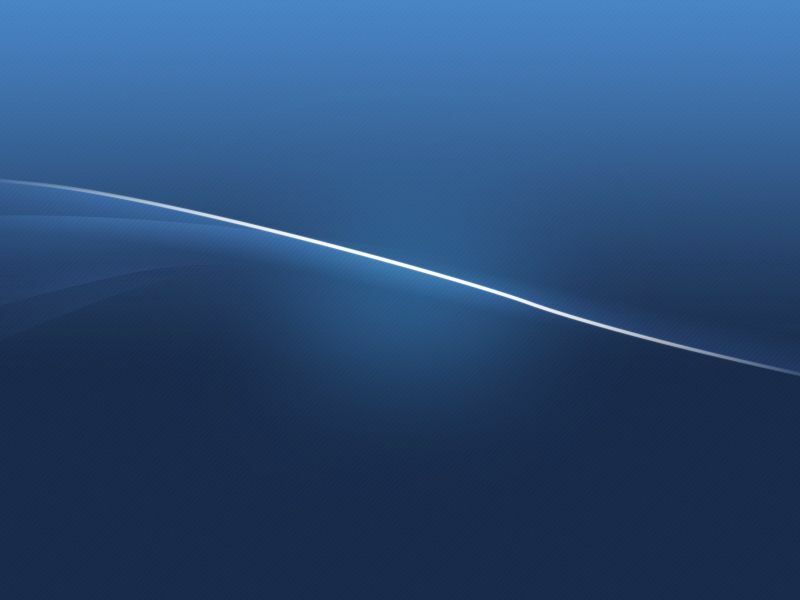 Time in space: 5 hours and 7 minutes. Distinguished Flying Cross for service in Korea. Air Medal with cluster for service in Korea. Two NASA Distinguished Service Medals. Air Force Command Pilot rating with astronaut qualifier. Honorary Doctorate, Florida Institute of Technology. Congressional Space Medal of Honor (posthumous). Honorary Mayor of Newport News, Virginia (posthumous). Span: 37 ft. 6 in. Height: 11 ft. 7 in. The F-80 was a very hot airplane to handle, compared to slower piston engine aircraft and an alarming number of airplanes were lost. The solution was the redesigned T-33A two-seat trainer. The T-33A was developed from the single-seat Lockheed F-80C Shooting Star fighter by lengthening the fuselage about three feet to accommodate a second cockpit. The F-80C Shooting Star was the first American aircraft to exceed 500 mph in level flight, the first American jet airplane manufactured in large quantities and America's first operational jet fighter. 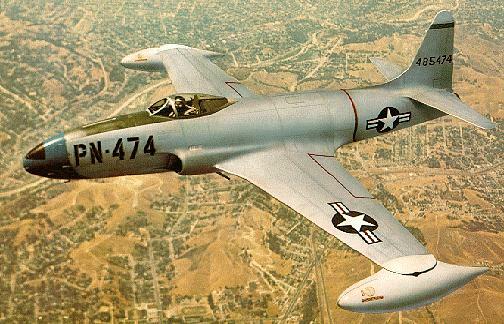 On Nov. 8, 1950, in Korea, an F-80 Shooting Star was the first jet to shoot down a Russian jet (a MiG-15) in the world's first all-jet fighter air battle. The T-33 is one of the world's best-known aircraft, having served with the air forces of more than 20 different nations over several decades. T-33's were flown by our Astronauts during our race to the moon. This allowed our Astronauts to keep their flight proficiency (they were all active duty military pilots that had to keep flying in order to keep their flight pay) because they did not receive any extra pay for being an Astronaut. Being perched on top of extremely explosive rockets (that failed more often than not) was considered a normal part of the job. In addition to its use as a trainer, the T-33 has been used for such tasks as drone director and target towing, and in some countries even as a combat aircraft. The RT-33A, a reconnaissance version made primarily for use by foreign countries, had a camera installed in the nose and additional equipment in the rear cockpit. The T-33 and F-80 were built by Lockheed and designed by their famous Engineer and innovator, Mr. Clarence "Kelly" Johnson. 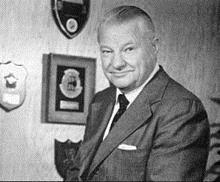 Kelly Johnson was an American system engineer and aeronautical innovator that worked for Lockheed Corporation. He played a leading role in the design of over forty aircraft and acquiring a reputation as one of the most talented and prolific aircraft design engineers in the history of aviation. In 1943, responding to United States Army Air Forces' concerns about Germany's development of high performance jet fighters (the ME 262), Johnson proposed to develop a jet airplane in six months. The result, the P-80 Shooting Star, was completed and became America's first operational jet fighter. The need to find space to develop the P-80 also led to the creation of the facility that would be later called the Skunk Works. In 1958, Johnson became Vice President of the Advanced Development Projects (ADP) at Lockheed. The first ADP offices were nearly uninhabitable; the stench from a nearby plastic factory was so vile that one of the engineers began answering the phone "Skonk Works!" The "Skonk Works!" was a reference to a popular comic strip (Al Capp's Li'l Abner). In the comic strip, Big Barnsmell's Skonk Works � spelled with an "o" � was where Kickapoo Joy Juice (a very potent alcohol made by grinding dead skunks and worn shoes in a smoldering still) was made. When the name "leaked" out, Lockheed ordered it changed to Skunk Works to avoid potential legal trouble over use of a copyrighted term. The term rapidly circulated throughout the aerospace community, where reference to "Skunk Works" meant a companies advanced development department and reference to "The Skunk Works" meant Lockheed's ADP department. At the request of the CIA (in 1955), Johnson initiated construction of the airbase at Groom Lake, Nevada (later known as Area 51 ). 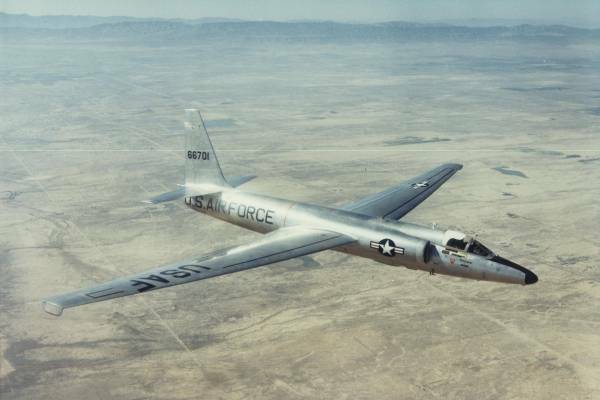 This project provided a secret location for development and flight testing the U-2. The F-104 Starfighter and the secret reconnaissance planes U-2 and SR-71 Blackbird were also developed at Area 51. 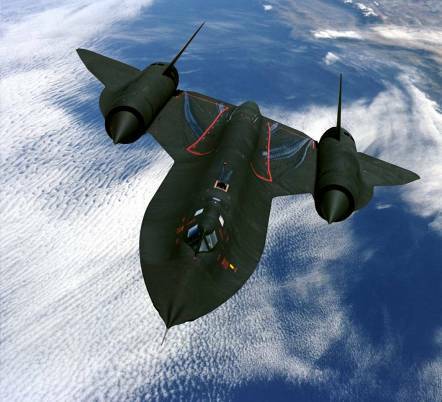 Johnson's team was able to create an aircraft (SR-71 Blackbird) that flew so high and fast that it could neither be intercepted nor shot down. No other unclassified jet airplane has matched the Blackbird's performance. "Be quick, be quiet, and be on time." * Gus Grissom, T33, and Kelly Johnson research done courtesy of Anthony Hall.